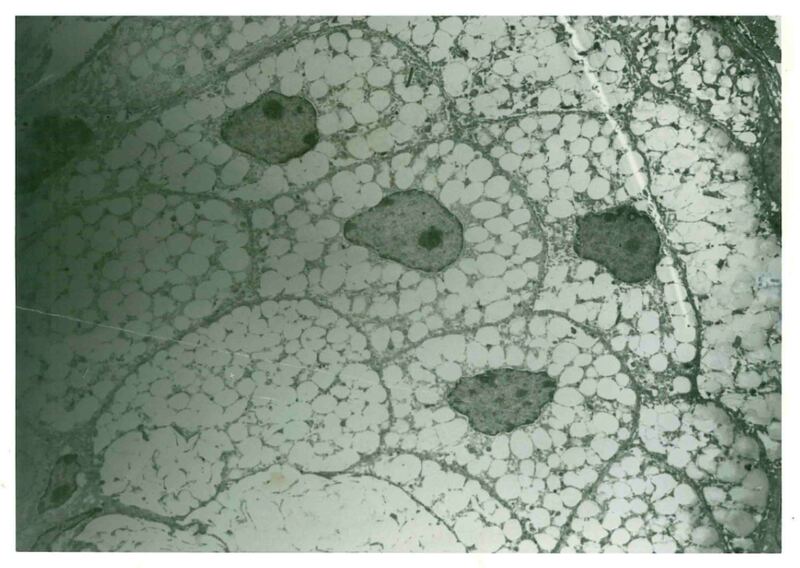 Figure 1: Histological section of human skin, stained with hematoxylin and eosin stain and imaged with an optical microscope, illustrating the pilosebaceous unit and associated sebaceous gland. Copyright (2018), G. Menon. What is the Function of Sebocytes? Sebocytes synthesize sebum, a complex mixture of oils, fatty acids, wax esters, etc. that lubricate and provide a protective barrier for the surface of skin. Once considered as forming vestigial organs with no functional role other than causing the nuisance of acne, sebocytes are now credited with a multitude of useful, and often critical functions for skin health. Glands not associated with hair follicles are considered to be involved in secretion of pheromones. In an animal model (asebia mouse) lacking sebaceous glands, the skin barrier as well as its moisture holding ability is affected due to reduced skin glycerol that is normally derived from the breakdown of sebum triglycerides.2 Sebum also delivers the potent antioxidant, vitamin E, to the skin surface, where it prevents oxidative damage to barrier lipids.3 Cosmetic chemists are interested in this cell type primarily due to their focus on oily skin, acne, skin cleansers, and oil absorbing foundations that reduce the shine of skin. Figure 2: Ultrastructure of the sebaceous gland illustrating the sebocyte structure, including the nucleus (dark stained) and lipid droplets (light features). Copyright (2018), G. Menon. 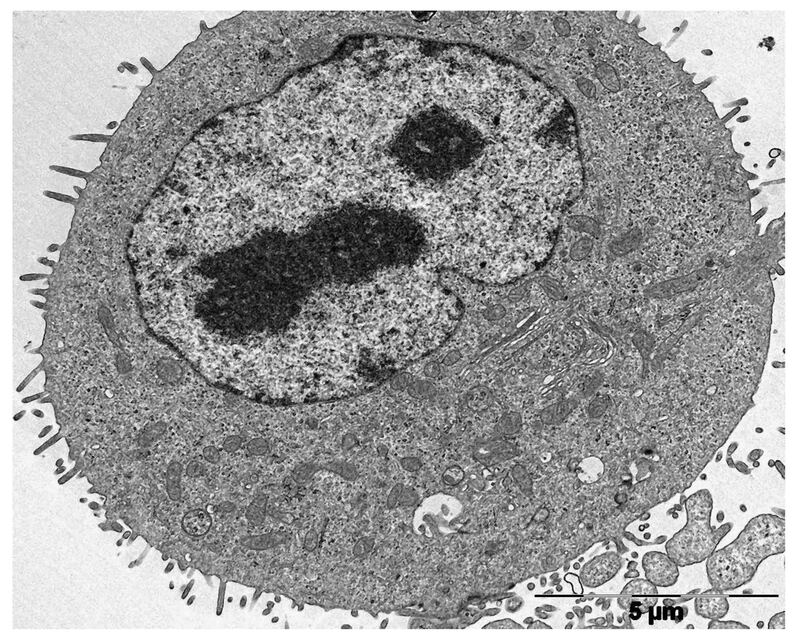 Figure 3: Transmission electron microscope image of an undifferentiated sebocyte in vitro. Micrograph copyright (2018), G. Menon and C.C. Zouboulis. Sebum is a mixture of triglycerides, cholesterol, wax esters, and squalene.. Triacylglycerols, diacylglycerols, and free fatty acids together account for 50–60% of its composition. Wax esters account for 20–30%, squalene about 10–16%, and cholesterol esters about 2-4 %.7 Cholesterol is the least abundant species, distinguishing sebocytes from keratinocytes; which synthesize a cholesterol enriched mixture of barrier lipids. A comprehensive study of the human sebum lipidome using rapid resolution HPLC and electrospray mass spectrometry, Camera and coworkers detected 95 families of triacylglycerols, 29 families of diacylglycerols, 9 cholesterol esters, and 48 free fatty acids.8 Among the wax esters, 28 species were found to contain the 16:1 fatty acyl moiety. This attests to the chemical complexity of sebum (Once considered the product of a vestigial organ!) and provides a pointer as to many unrealized functions in the physiology of skin. Sebaceous glands are also known to be atrophied in certain skin diseases, such as scarring alopacia and in psoriatic alopacea.11,12 In scarring alopacea it is believed that inflammation of the glands could be a significant factor in the onset of scarring. Several molecular pathways, such as Blimp 1, Wnt, C-myc, and Hedgehog, are involved in the development of sebaceous glands, which later come under the regulatory influence of hormones, primarily androgens.5,13 A notable increase in sebum secretion occurs as early as a few hours after birth, peaking during the first week, but subsiding afterwards. Around the age of 9 years, a new rise in sebum production is observed, which continues through the teen age years (development of puberty) after which adult levels are reached.14 Sebaceous glands are also the sites for formation of active androgens, which in turn effects sebum production. Additionally, fatty acids and other ligands that bind to and activate PPARs (peroxisome-proliferator activated receptors), especially PPAR-γ, stimulate lipogenesis within the sebocytes.15 In addition, estrogens, prolactin, thyroid hormone, glucocorticoids, and corticotrophin-releasing hormone all modulate sebum production. Investigations on the basic physiology of the sebocytes got a boost with the development of immortalized sebocytes, first SZ95 by the Zouboulis lab (1999) and then SEB-1 by the lab of Thiboutot (2003) followed by the cell line Seb-E6E7 by LoSelso et al.13,16,17 The methodology for culture of sebocytes in vitro has been discussed by Xia and coworkers, which is a good reference that contains a lot of technical details.18 Several studies have since been conducted, which demonstrated that sebocytes are influenced by calcium, vitamin D,19 retinoids, androgen,20 and adiponectin, an adipokine produced by the adipose tissue.21 A battery of enzymes involved in androgen metabolism have been shown to be present in the sebocytes, which lead to the concept that the sebaceous glands are key regulators of androgen homeostasis in the human skin.20 Indeed, inflammatory cytokines play a crucial role in the hyperactivity of sebaceous glands and lead to acne (an inflammatory disease). An interesting study using a peptide (KdPT) derivative of α-melanocyte-stimulating hormone demonstrated that the peptide suppresses the IL-β1 induced cascade of cytokine signaling and expression in immortalized sebocyte cultures.22 Interestingly, this peptide fraction, which does not bind to melanocortin 1 receptor, has the potential of treating acne without triggering the post-inflammatory pigmentation effects of acne. In closing, the range of epidermal differentiation as related to lipogenesis is a fascinating topic of interest to the cosmetic chemist, evolutionary biologists, and those seeking a model system to study lipogenesis and its control from a human health perspective. 1. C.C. Zouboulis and M. Böhm, Neuroendocrine regulation of sebocytes—a pathogenetic link between stress and acne, Exp. Dermatol., 13(Suppl. 4), 31-35 (2004). 2. J.W. Fluhr, M. Mao-Qiang, B.E. Brown, P.W. Wertz, D. Crumrine, J.P. Sundberg, K.R. Feingold, and P.M. Elias, Glycerol regulates stratum corneum hydration in sebaceous gland deficient (asebia) mice, J. Invest. Dermatol., 120, 728-737 (2003). 3. J.J. Thiele, S.U. Weber, and L. Packer, Sebaceous gland secretion is a major physiologic route of vitamin E delivery to skin, J. Invest. Dermatol., 113, 1006-1010 (1999). 4. A.J. Thody and S. Shuster, Control and function of sebaceous glands, Physiol. Rev., 69, 383-416 (1989). 5. M.R. Schneider and R. Paus, Sebocytes, multifaceted epithelial cells: lipid production and holocrine secretion, Int. J. Biochem. Cell Biol., 42, 181-185 (2010). 6. G. Plewig and E. Christophers, Renewal rate of human sebaceous glands, Acta Derm. Venereol., 54, 177-182 (1974). 7. K.R. Smith and D.M. Thiboutot, Thematic review series: skin lipids. Sebaceous gland lipids: friend or foe? J. Lipid Res., 49, 271–281 (2008). 8. E. Camera, M. Ludovici, M. Galante, J.L. Sinagra, and M. Picardo, Comprehensive analysis of the major lipid classes in sebum by rapid resolution high-performance liquid chromatography and electrospray mass spectrometry, J. Lip. Res., 51, 3377-3388 (2010). 9. I. Nagy, A. Pivarcsi, K. Kis, A. Koreck, L. Bodai, A. McDowell, H. Seltmann, S. Patrick, C.C. Zouboulis, and L. Kemény, Propionibacterium acnes and lipopolysaccharide induce the expression of antimicrobial peptides and proinflammatory cytokines/chemokines in human sebocytes, Microbes Infect., 8, 2195-2205 (2006). 10. T. Alestas, R. Ganceviciene, S. Fimmel, K. Müller-Decker, and C.C. Zouboulis, Enzymes involved in the biosynthesis of leukotriene B4 and prostaglandin E2 are active in sebaceous glands, J. Mol. Med. Berl. Ger., 84, 75-87 (2006). 11. T. Al-Zaid, S. Vanderweil, A. Zembowicz, and S. Lyle, Sebaceous gland loss and inflammation in scarring alopacea: a potential role in pathogenesis, J. Am. Acad. Dermatol., 65, 597-603 (2011). 12. L. Rittié, T. Tejasvi, P.W. Harms, X. Xing, R.P. Nair, J.E. Gudjonssen, W.R. Swindell, and J.T. Elder, Sebaceous gland atrophy in psoriasis: an explanation for psoriatic alopecia, J. Invest. Dermatol., 136, 1792-1800 (2016). 13. C. Lo Celso, M.A. Berta, K.M. Braun, M. Frye, S. Lyle, C.C. Zouboulis, and F.M. Watt, Characterisation of bipotential epidermal progenitors derived from human sebaceous gland: contrasting roles of c-Myc and β-catenin, Stem Cells, 26,1241-1252 (2008). 14. C.C. Zouboulis, Acne and sebaceous gland function, Clin. Dermatol., 22, 360-366 (2004). 15. N.R. Trivedi, Z. Cong, A.M. Nelson, A.J. Albert, L.L. Rosamilia, S. Sivarajah, K.L. Gilliland, W. Liu, D.T. Mauger, R.A. Gabbv, and D.M. Thiboutot, Peroxisome proliferator-activated receptors increase human sebum production, J. Invest. Dermatol., 126, 2002-2009 (2006). 16. C.C. Zouboulis, H. Seltmann, C.E. 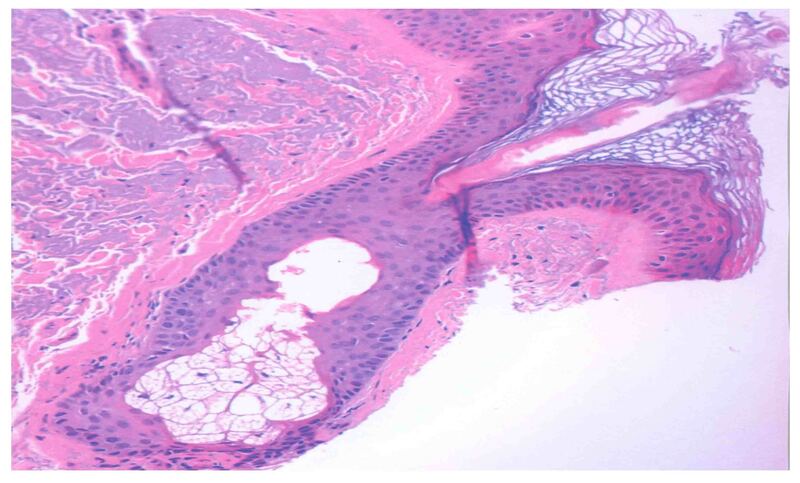 Orfanos, H. Neitzel, Establishment and characterization of an immortalized human sebaceous gland line, J. Invest. Dermatol., 113, 1011-1020 (1999). 17. D. Thiboutot, S. Jabara, J.M. McAllister, A. Sivarajah, K. Gilliland, Z. Cong, and G. Clawson, Human skin is a steroidogenic tissue: steroidogenic enzymes and cofactors are expressed in epidermis, normal sebocytes, and an immortalized sebocyte cell line (SEB-1), J. Invest Dermatol., 120, 905-914 (2003). 18. L. Xia, C.C. Zouboulis, and Q. Ju, Culture of human sebocytes in vitro, Dermatoendocrinol., 1, 92-95 (2009). 19. C.C. Zouboulis, H. Seltmann, M.B. Abdel-Naser, A.M. Hossini, G.K. Menon, and R. Kubba, Effects of extracellular calcium and 1,25 dihydroxyvitamin D3 on sebaceous gland cells in vitro and in vivo, Acta Derm. Venereol., 97, 313–320 (2017). 20. M. Fritsch, C.E. Orfanos, and C.C. Zouboulis, Sebocytes are the key regulators of androgen homeostasis in human skin, J. Invest. Dermatol., 116, 793-800 (2001). 21. Y.R. Jung, J.H. Lee, K.C. Sohn, Y. Lee, Y.J. Seo, C.D. Kim, J.H. Lee, S.P. Hong, S.J. Seo, S.J. Kim, and I. Myung, Adiponectin signaling regulates lipid production in human sebocytes, PLoS One, 12, e0169824 (2017). 22. A. Mastrofrancesco, A. Kokot, A. Eberle, N.C. Gibbons, K.U. Schallreuter, E. Strozyk, M. Picardo, C.C. Zouboulis, T.A. Luger, and M. Böhm, KdPT, a tripeptide derivative of alpha-melanocyte–stimulating hormone, suppresses IL-1 beta–mediated cytokine expression and signaling in human sebocytes, J. Immunol., 185, 1903–1911 (2010). 23. C.C. Zouboulis, B. Korge, H. Akamatsu, L.Q. Xia, S. Schiller, H. Gollnick, and C.E. Orfanos, Effects of 13-cis-retinoic acid, all-trans-retinoic acid, and acitretin on the proliferation, lipid synthesis and keratin expression of cultured human sebocytes in vitro, J. Invest. Dermatol., 96, 792-797 (1991). 24. P.M. Elias, G.K. Menon, S. Grayson, B.E. Brown, and S.J. Rehfeld, Avian sebokeratinocytes and marine mammal lipokeratinocytes: structural, lipid biochemical and functional considerations, Am. J. Anat., 180, 161-177 (1987).